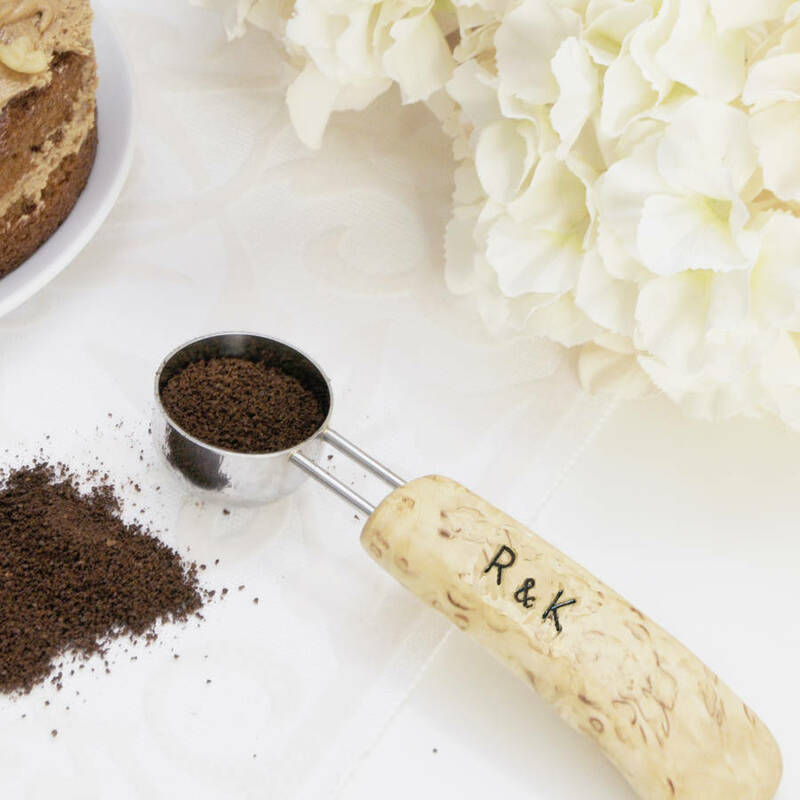 This smart scoop will be perfect for creating delicious coffee for guests or for yourself. 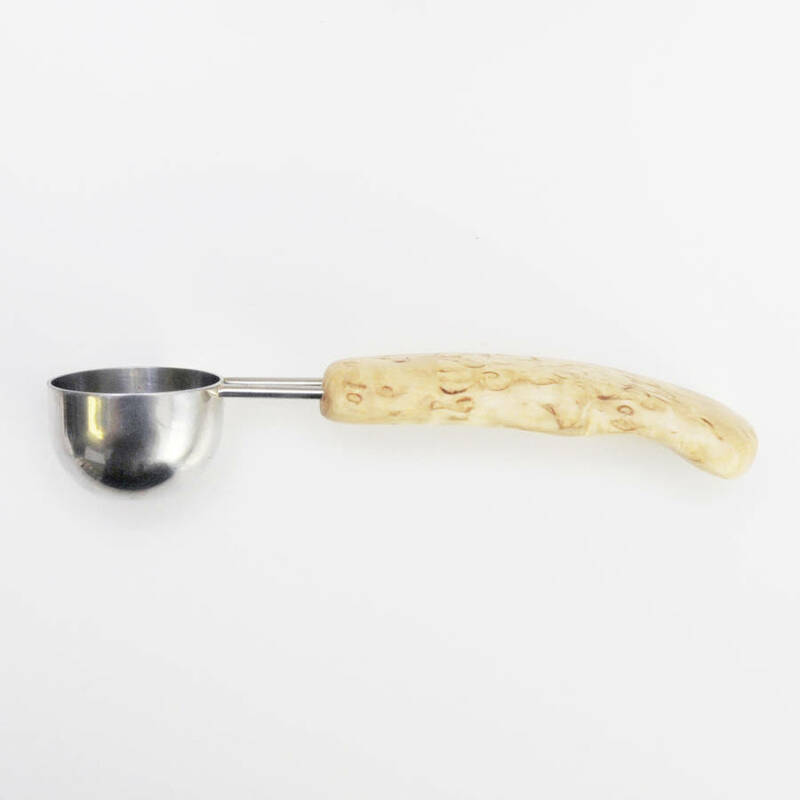 This coffee spoon is great for scooping ground coffee, cocoa or tea. It can have a variety of uses. 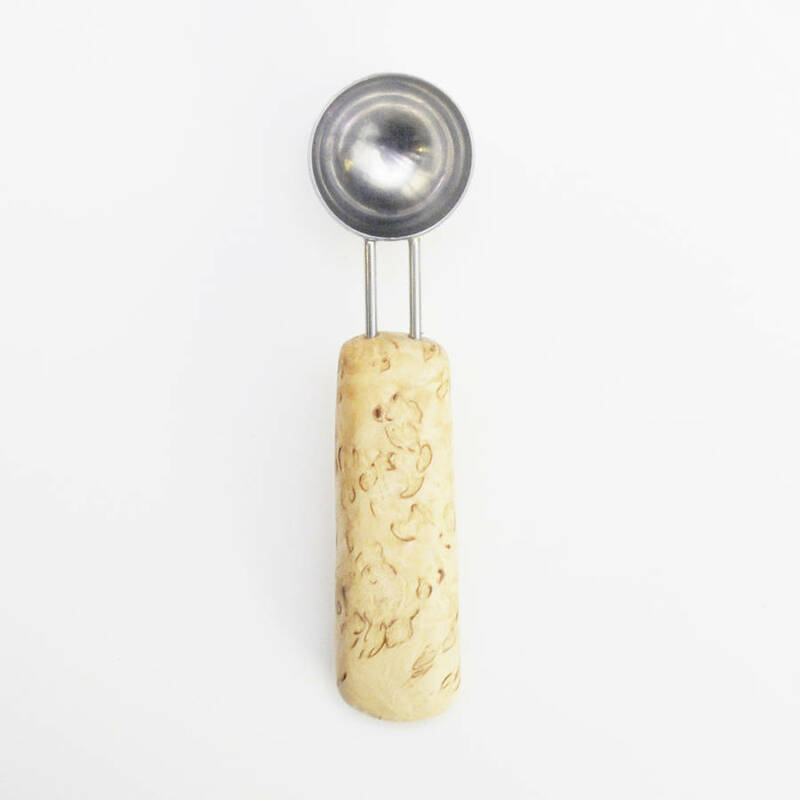 It can be used as an ice cream spoon or a milk spoon. The scoop will bring eye catching design to your home interior. The coffee scoop can be personalised with up to 8 characters. 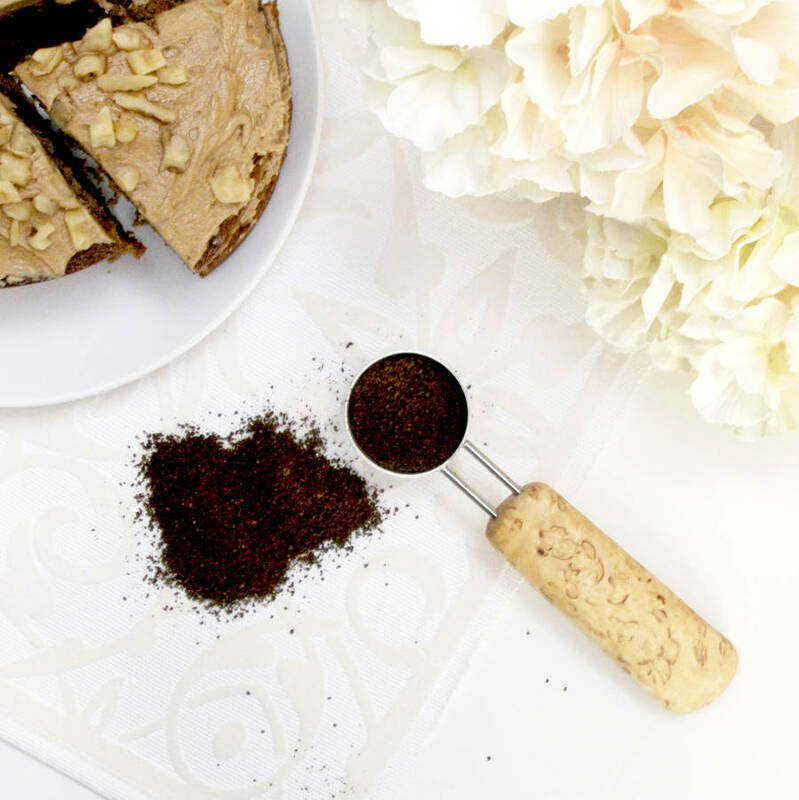 You can receive the coffee scoop in a gift box if you so wish. The handle is made from curly birch which is a sought after material for example on luxury ships' interiors. The scoop is stainless steel. As the handle is wooden the coffee scoop should not be washed in the dishwasher.